Well this winner announcement for the Bob Harper's Ultimate Cardio Body giveaway has been a long time coming and I am sorry for the long delay. Life got in the way and I forgot to pick the winner before now. I spend most of my time on my 26.2 Quest running blog and as of late I have been neglecting this blog unfortunately. I am sorry for those that entered that have given up on me because of the lack of a follow up post, but on to the winner. 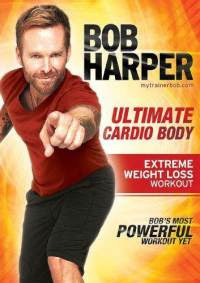 The giveaway was for a copy of Bob Harper's Ultimate Cardio Body DVD. I entered the number of entries in random.org and the winner was chosen. The lucky winner was Audrey from Aud's Odds. Audrey, please send your mailing address to info@2big.org and I will get the DVD in the mail to you as soon as possible. yea!!!! I won, I'll email you my info. Thanks so much - I'm super stoked to win this!